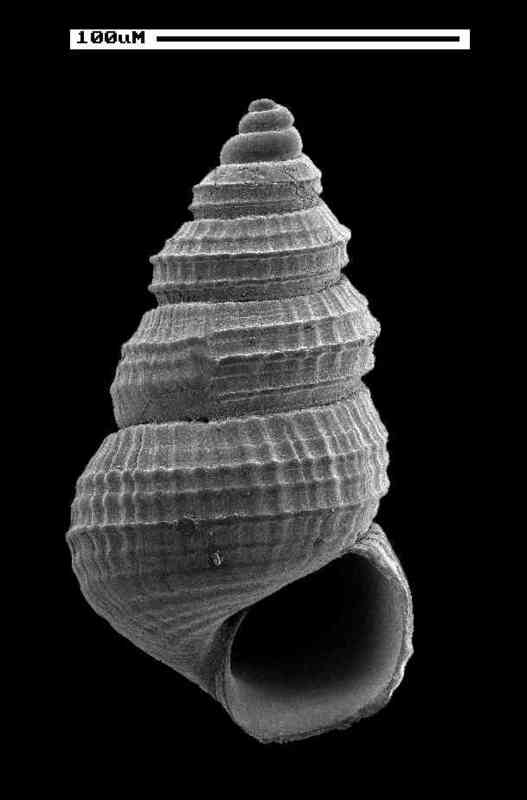 Shell size to 18 mm; shell elongate, turreted, small. Spire sides straight. Sculpture of three strong, squarish spiral cords. 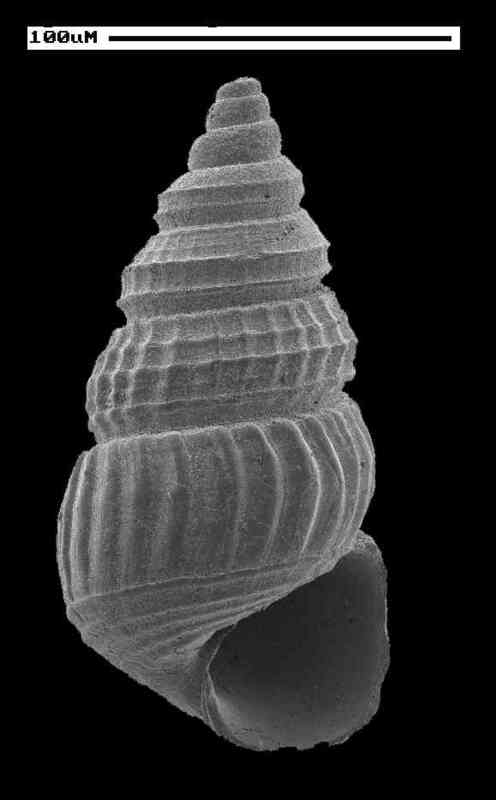 Interspaces with fine spiral striations and axial threads. Outer lip with crenulations corresponding to spiral sculpture. Anterior canal curved. Color cream to light-brown with faint spots of darker color. Frequently found clinging to seagrass blades and on seaweed patches. The additional image (SEM) shows two juvenile shells from Sanibel beach drift. 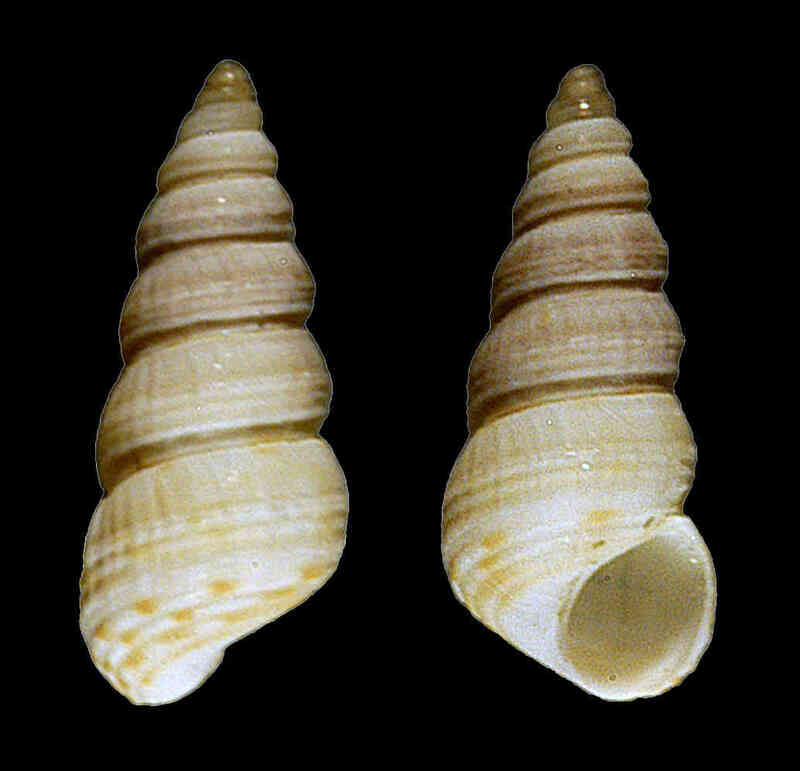 Observe the variation in shell sculpture between these two specimens.